Discount Carpets: Why Pay More? Why spend full price for your carpet when you can get the same excellent product for less? Coles Fine Flooring offers a variety of specials to help you get the carpet you want for a price you love. Although our particular specials may change from month to month, you can always find discount carpets and flooring by checking our website. Alternatively, you can sign up for our email list to receive exclusive special offers. Because of our excellent relationship with carpet manufacturers across the country, we are frequently able to offer deals on some of the newest brands and styles simply because Coles Fine Flooring can buy direct. We purchase truckloads of the finest carpeting and wood floors and pass the fabulous quality on to you. Discount carpets & discount wood floors—Coles offers value you can trust since 1947. 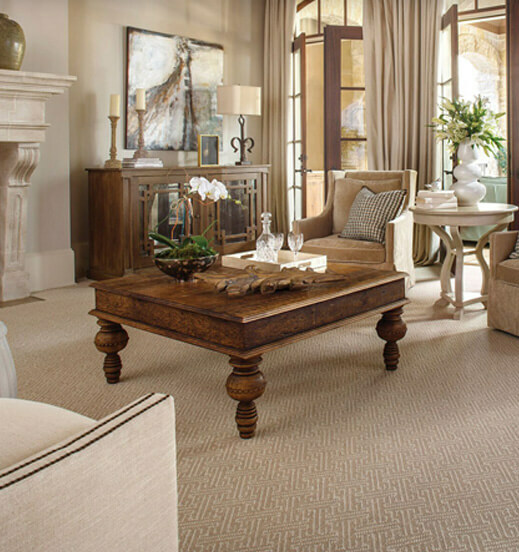 Coles Fine Flooring is proud to offer an in-home carpet and flooring consultation. Simply make an appointment, and Coles will send everything you could need out to you at your convenience. Trying to plan a room but concerned that the rug color won’t match the walls? Let Coles carpet direct bring the samples to you in the comfort of your own home or office. You can see the way the colors interact with your own eyes before you install, rather than making the investment based on guesswork. In addition to the full stock of Coles Fine Flooring’s carpets and flooring, Coles carpet direct brings you the knowledge and experience of our specially trained staff. Your Coles design assistant will sit down with you and discuss your flooring needs, gaining a real understanding of your room, your design plan, and your budget. The design assistant is knowledgeable about the full range of products Coles offers, and will be happy to steer you toward the carpet or flooring that will work best for you.